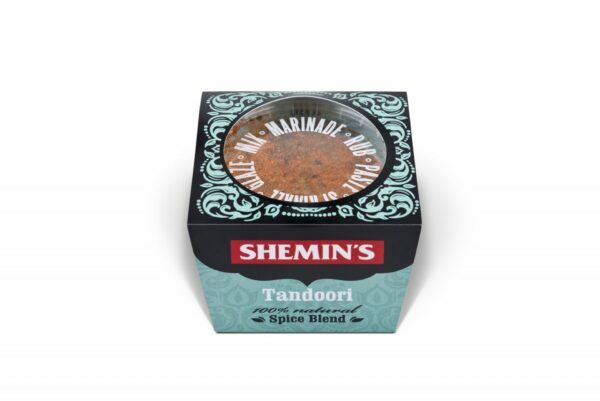 Our authentic blend of spices gives a beautiful flavour to any dish. Fragrant and earthy, this blend gives a lovely richness to meat, chickpeas, roast vegetables, potatoes and much more. I have been using Shemins pastes since I saw her on James Martin. I am a total convert I love them and just tried the rub in Tandoori WOW AMAZING. Your doing an excellent job Shemin please keep it up. Why use anything else – the best! Shemins tandoori seasoning is a fantastic rub I used it on chicken and marinaded overnight and cooked on the BBQ everyone was commented on the tandoori chicken . shame you don’t do a double sized containers of it !